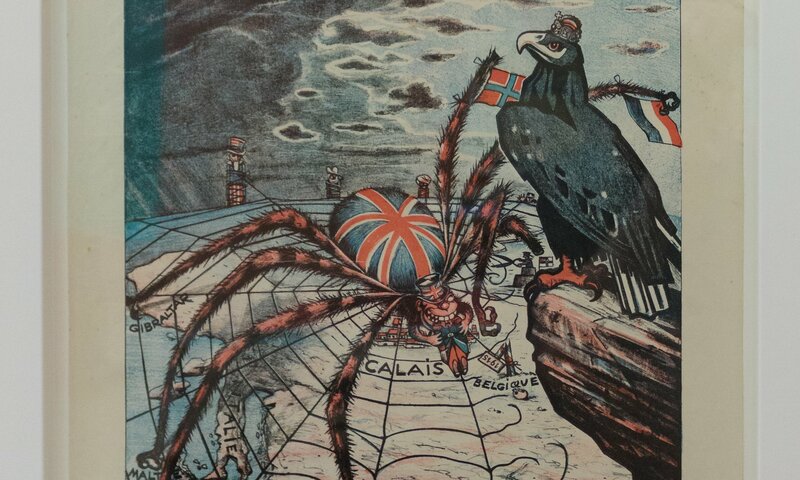 From Soviet maps of Brighton to a more accurate map of the world, here are this week’s top picks in imperial and global history. Few, if any, cold war historians believe Soviet Russia was ever actively planning to invade Brighton, Hove and Shoreham, but a remarkable map suggests the country’s leaders had been prepared should the opportunity have arisen. The British Library is putting the detailed Soviet military map of Brighton and its surrounding area in Sussex on display as part of an exhibition that opens to the public on Friday. When I was a child in Lahore in Pakistan, my parents employed a driver called Sultan. Sultan, a retired soldier, was from a village near Jhelum. He was a cheerful man in his 60s who readily joined in our games of badminton. But to me the most interesting fact about Sultan was that he could speak Italian. A fragmentary, broken Italian, but Italian nonetheless, picked up as a prisoner of war in Italy. He called me signorina and taught me three Italian words: si, grazie and buongiorno. Decades later, when I told my children about Sultan, they were gobsmacked. What was a Pakistani villager doing fighting in Italy? He wasn’t Pakistani then, I explained, he was Indian. Sultan was one of more than two million Indian soldiers who fought for the allies in the second world war. “No! Really?” they breathed. Three things happened in the last couple weeks to put Hamilton back on my mind: 1) the Victoria Palace Theatre in London announced that tickets for the show would finally (finally!) go on sale in January, 2) I started re-reading some of my research notes for this round of book edits, and 3) police arrested and pepper-sprayed peaceful Native Americans—Standing Rock Sioux, along with 90 additional nations and tribes—who were protesting the construction of the Dakota Access Pipeline. To design a map of the world is no easy task. Because maps represent the spherical Earth in 2D form, they cannot help but be distorted, which is why Greenland and Antarctica usually look far more gigantic than they really are, while Africa appears vastly smaller than its true size. 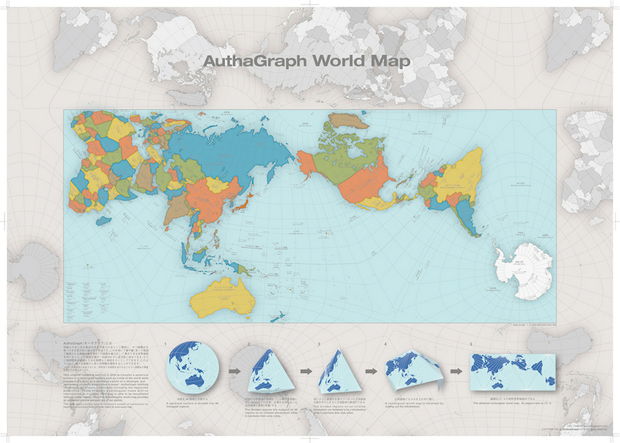 The AuthaGraph World Map tries to correct these issues, showing the world closer to how it actually is in all its spherical glory.